. Publications . Drug Abuse Information Rehabilitation and Research Centre . 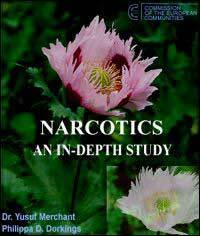 A 556 pages anthology on Narcotics, entitled 'NARCOTICS - AN INDEPTH STUDY', evaluated and sponsored by The Commission of the European Communities. 2000 copies of this book were distributed all over India to medical colleges and post graduate institutions teaching either Sociology or Psychology. (released by Prime Minister of India Shri Atal Behari Vajpayee). ISBN-81-900196-3-5. DRUG RESISTANCE EDUCATION - A manual for trainers in schools. (Released by The then Prime Minister of India, Shri Chandrashekar, 1990 ). ISBN-81-900196-4-3. BROWN SUGAR ADDICTION - An Indian Perspective. 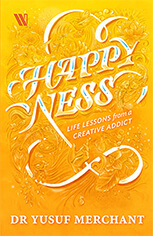 A handbook for parents and high school children. (Released by Shiv Sena Supremo , Shri Balasaheb Thackeray, 1997)ISBN 81-900196-0-0. More than 20,000 copies of D.A.I.R.R.C. Publications have been distributed free of cost in Medical colleges, colleges, schools and to Parents all over India , since 1990.